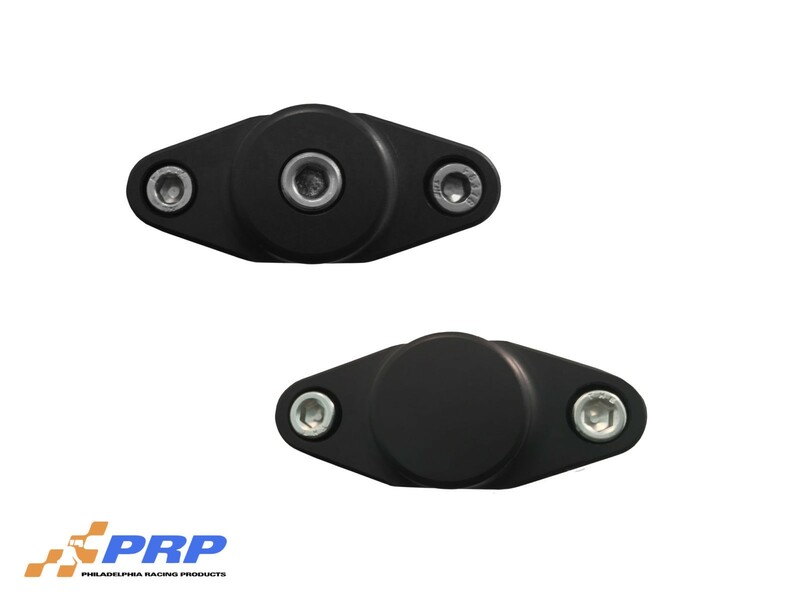 PRP’s new inline fuel filters are the answer to protecting that fuel system and engine from harmful debris. Pump filters are equipped with a cleanable 100 micron wire mesh filter. Carb filters are equipped with a cleanable 40 micron wire mesh filter. Each filter housing has two removable ends for easy assembly and cleaning. Constructed from 6061 billet aluminum and black anodized. Designed for street or race, and available with either a 3/8 barb, 6AN, or 8AN hose ends. 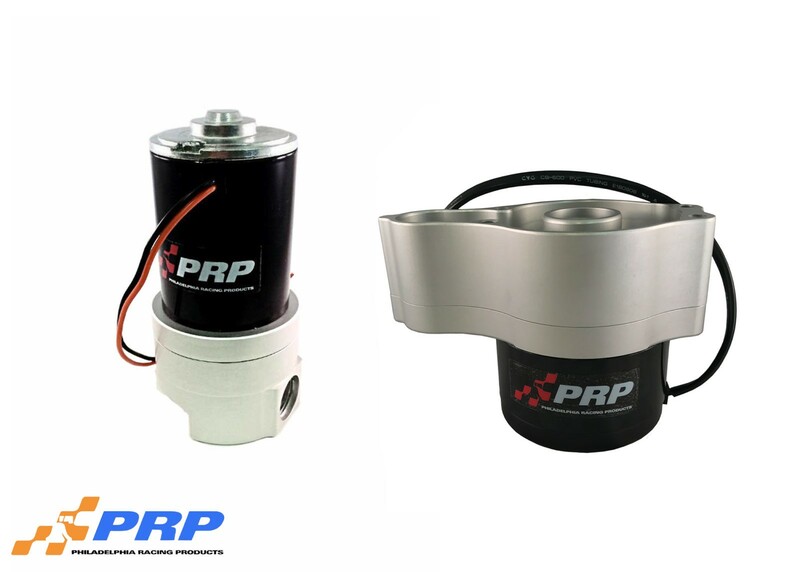 PRP’s billet remote mounted electric water pumps are answer to better engine cooling and space saving. These units are small and compact and only weighs about 6 pounds. These pumps are designed to be remotely mounted and can work as a standard water pump or can be used to reverse cool your engine. 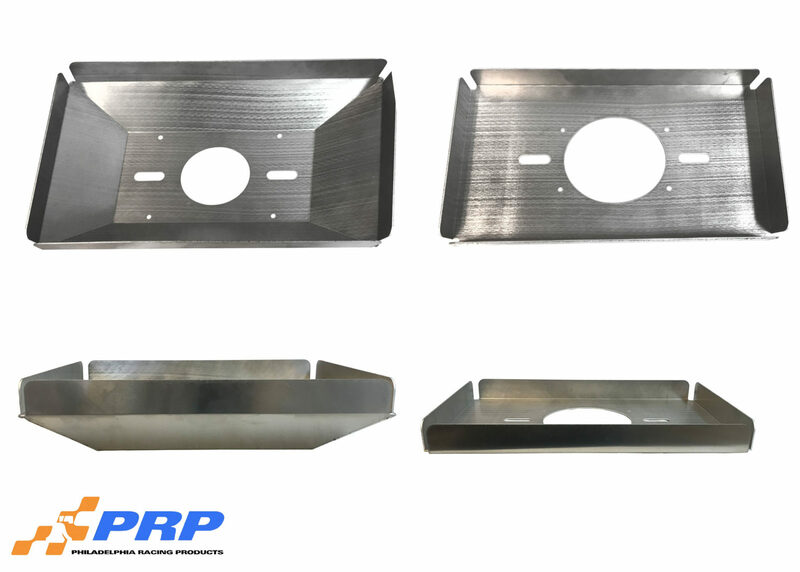 Reverse cooling can help get rid of those hot spots that occur from standard cooling and can result in horsepower gains. Our large remote pump will free flow 50GPM and our inline remote pump will flow 25GPM. Each unit is CNC machined from 6061-T6 billet aluminum and hard coat anodized in either clear, or black. The large remote pump is available in polish as well.